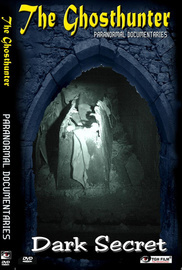 Dark secret is a documentary about paranormal activity. Based on the truth. 1. Black witches and Satan worshippers demolish a cemetery. The heads are stolen from the coffins, even those of children. A bizarre situation where an exorcist intervenes. 2. The Shadow People. A presentation about shadow people. Who are they and where do they come from? 3. Exorcisms of a house by an exorcist. Suddenly the camera has been tampered with. The peace is restored afterwards, 1 month later it's completely calm and everyone is doing well. 4. Furniture factory. A presentation of a furniture factory visited years ago. What is the power of an exorcist and what is the impact it leaves on those witnessing it?